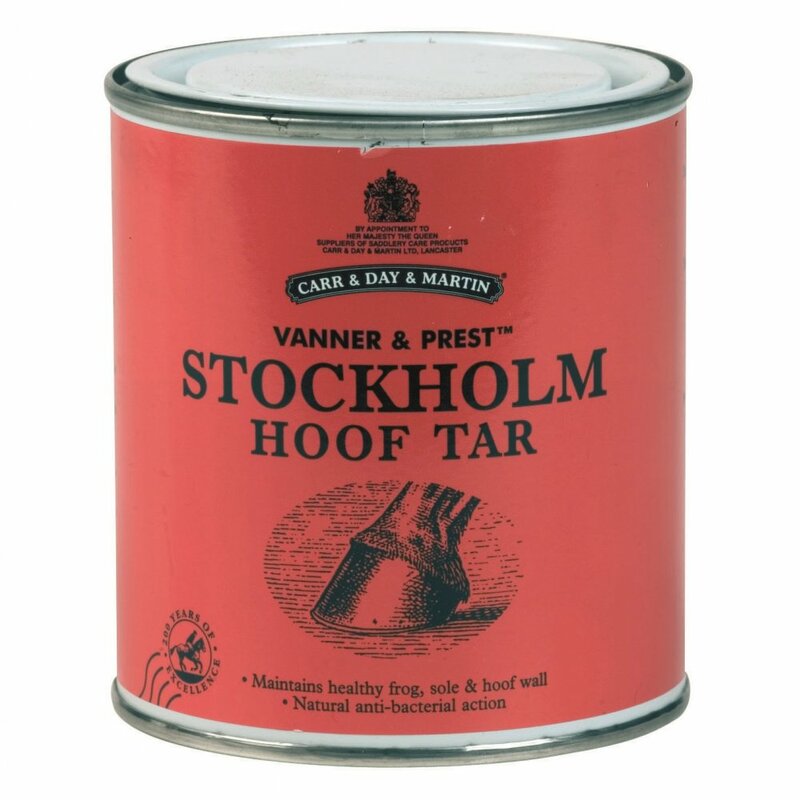 Vanner and Prest Stockholm Hoof Tar is a natural vegetable tar that seals, waterproofs and protects damaged areas of the hoof. This versatile hoof care product maintains a healthy frog, sole and wall of the hoof. The anti-bacterial action of pine turpenes make it ideal for use on damaged areas of the hoof, particularly the sole. Stockholm Hoof Tar is a thick formula that should be applied with a brush or spatula to the required area of the hoof to protect immediately. Re-apply as required.